Huntsville pressure washing The Pros Call 256-694-6291. Pressure washing is one of those chores that look fairly easy. Many homeowners are tempted to buy a pressure washer and clean their house or patio. 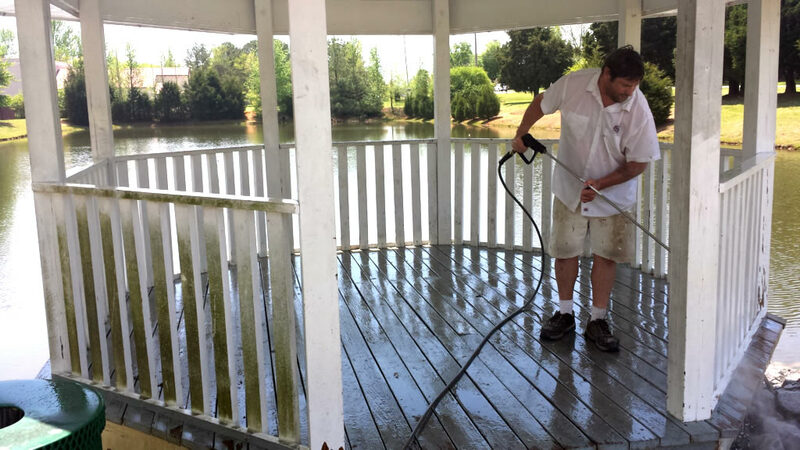 The cost of repairing the damage from a poor pressure washing job can exceed the cost of the pressure washing and result in frustration and worry. Many jobs can be done in one day. Call us for a free estimate on your site. Often, we can see you on the same day that you call. 256-694-6291. Here are some common mistakes that we see. Incorrect pressure – Too much pressure is worse than having too little. With too little pressure the job takes forever and the finished surface often looks like “Zebra stripes.” But, too much pressure can splinter wood, peel vinyl away from its metal or cut concrete and mortar. It can also be a safety hazard. Pressure washers can cut the skin and inject water under the skin. Incorrect solvents – Please don’t use pure chlorine bleach on any surface. It can harm you and even chemically react with the paint on the surface you are trying to clean. Using the correct surfactant for the surface being cleaned will make the job easier and better. 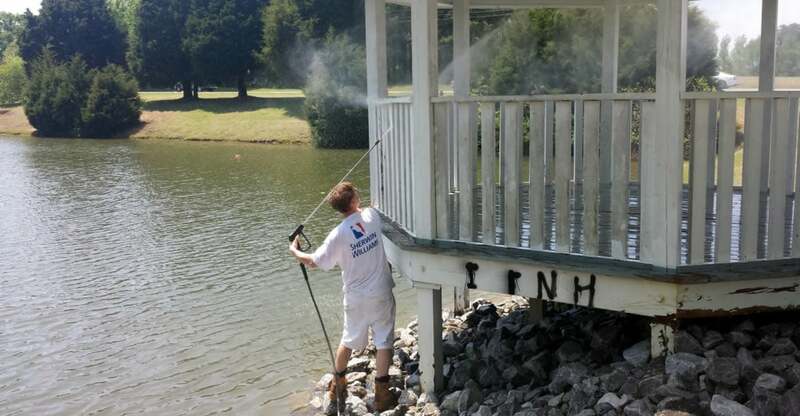 Hiring an uninsured Contractor – Because pressure washing is an unregulated industry, the barriers to entry and quite low. Insist on seeing proof of insurance and ask for detailed list of the work to be done. Avoid these problems by calling us for a free estimate at 256-694-6291 or contact us. House Washing of brick, vinyl or wood siding. 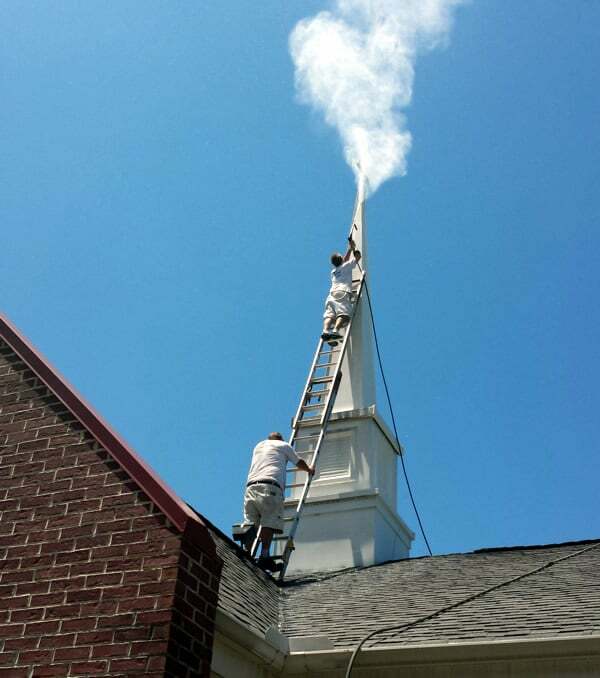 Call The Pros when you need commercial pressure washing. We can handle specialized needs, like the one you see here.